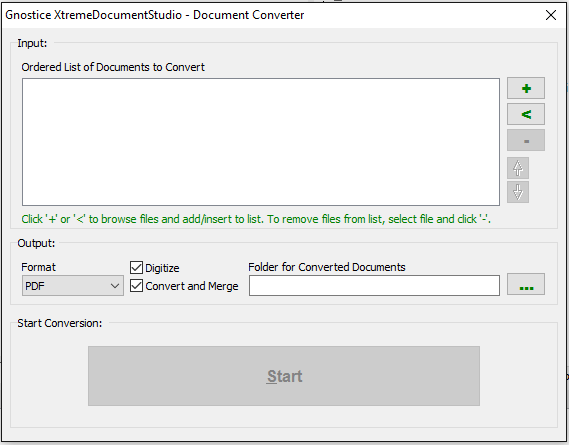 The DocumentConverter component included in XtremeDocumentStudio is a powerful component to convert your documents from one file format to another. It provides easy to use APIs to convert documents in your applications. It also provides extensive options for customizing the output being generated based on input and output format specific features. Input formats: PDF, DOCX, DOC, GIF, BMP, JPG, ICO, PNG, EMF, WMF, Single Page Tiff, Multi Page Tiff. 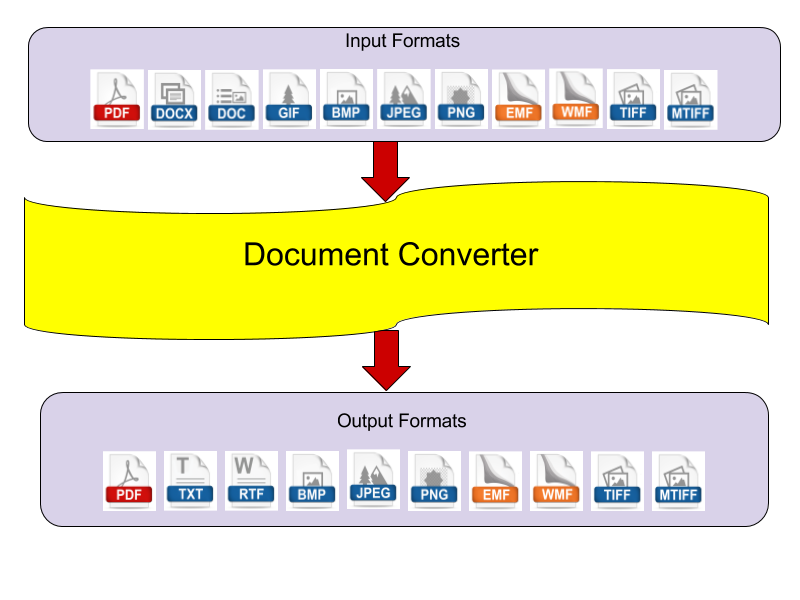 Output formats: PDF, RTF, TXT, BMP, JPG, PNG, EMF, WMF, Single Page Tiff, Multi Page Tiff. Simply add a TgtDocumentConverter component to your application to include document conversion capability. Below code snippets show how you can convert documents from one file format to another. Scenario 2: Converting images to searchable PDF document with OCR. Copy all files from <Gnostice XtremeDocumentStudio Install Folder>\Redist\OCR-dist to your project output directory. Scenario 3: Converting multiple images to single PDF document. Scenario 4: Converting multiple files to single multipage TIFF file. Scenario 5: Converting PDF to Text file. Scenario 6: Converting Docx to image. XtremeDocumentStudio Delphi contains a ready-to-use application in the form of a demo. You can find this under “<XtremeDocumentStudio Delphi install folder>\Demos\Delphi\VCL\4. Document Converter” once you install the registered/trial versions. Please download and explore XtremeDocumentStudio Delphi.